Recently, my kids and I were lucky enough to try out Fisher Price’s newest kid on the block - The Bright Beats Dance & Move BeatBo – an interactive and entertaining toy aimed at children 9 to 36 months of age. At first I couldn’t figure out what the BeatBo was supposed to be - is it an alien? A bunny? My daughters and I decided that it was a Martian (fitting, since we’re really into outer space right now)and that it is fun and easy for us to play with. In fact, this toy is an excellent tool to encourage your child’s gross motor skills through dance, sight and other commands. • Dance ‘n Move Mode shows BeatBo shaking his hips, nodding his head and playing lively music, which encourages your child to jump around, dance and get active. • The Learning & Games Mode helps teach baby ABCs, colors, counting and more – and features the popular 'Freeze Dance' for even more fun. • Finally, our personal fave in our house – the Customized Sing-Along Mode - which lets you or your child record a phrase – and BeatBo will remix it into his next song! My 2 year old daughter absolutely loves to speak into the BeatBo’s tummy and hear a silly version of her own voice chattering back at her! The only thing that I would change about this toy is that the low volume setting is a bit too quiet for us, whereas the loud can get a bit noisy! Otherwise this toy was a huge hit in our house! 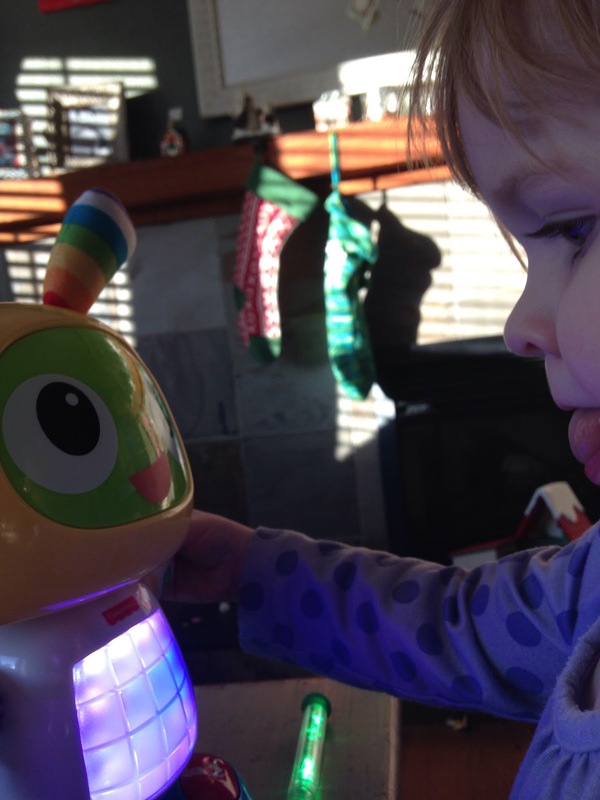 BeatBo is a great gift option this holiday season, as not only is it an interactive and fun toy, but offers the learning aspect as well. 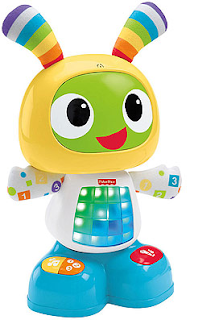 You can find Fisher Price Bright Beats BeatBo at most local retailers for around $49.99.